We have been producing as one of the first companies in the sector for over twenty years in accordance with DIN EN ISO 9001. Our on-site analysis laboratory guarantees top-quality products with continuous quality control. A great number of our products were the result of new customer requirements. 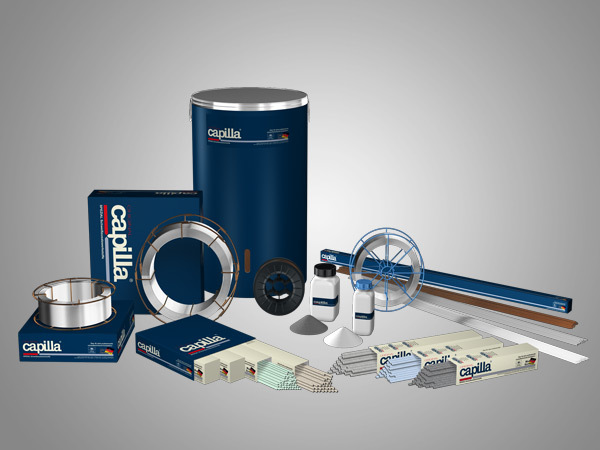 Together with the customer, our experienced application consultants at capilla® create a solution concept for new welding materials, which is then developed by the research and development team at capilla®. In this way we also succeed in individual solutions to tune the welding consumables proposal optimal to the customers special requirements. Our application consultants know exactly the type of concerns and requirements a welder may have, usually from their own first-hand experience. Therefore, we place a strong emphasis on the simple and safe handling of our products and the fulfilment of optimized process reliability. Experienced users know just how important this is.